Our game has a proud history of inclusiveness. Whether you were born here or born overseas – our game welcomes you. Whatever your religion – our game welcomes you. Whatever your gender or whoever you love – our game welcomes you! 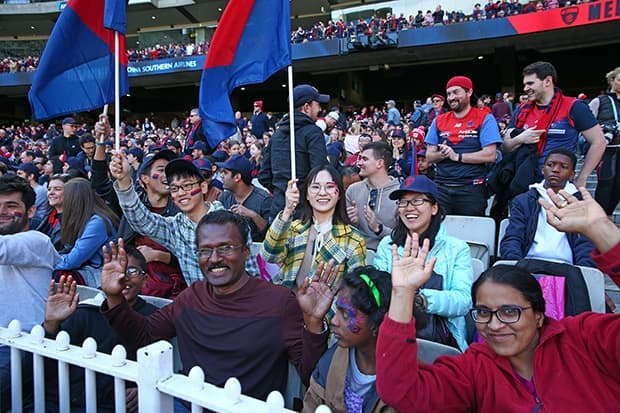 This game offers an opportunity to celebrate Melbourne's diversity and inclusiveness and a sense of belonging – and what better way to do this than by welcoming everyone to Australia’s game at the home of football, the iconic MCG. In addition, it’s an opportunity for Melbourne’s dynamic and vibrant community to come together and celebrate the cultural heritage and identity of the city. 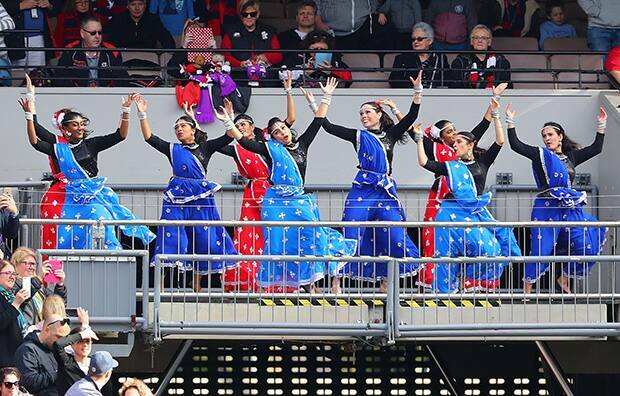 Multicultural Schools Program – is targeted at schools that have a 50% or higher percentage of students from culturally and linguistically diverse backgrounds, to introduce and teach the fundamental skills of AFL. The multicultural schools program aims to create a safe, non-contact AFL culture within schools to engage students of diverse backgrounds. Primary – Programs have been delivered to over 35 primary schools in 2017, engaging over 1600 participants from prep – grade 6. Islamic Schools – Melbourne’s programs assist schools participating in the Bachar Houli Primary and Secondary Schools Cup, as well as the Islamic Girls School Cup. Secondary – Secondary schools within the City of Casey/ Dandenong that have a high percentage of culturally and linguistically diverse students have programs that engage year 7-9 students in AFL, with these students going ton to represent the south-east region in the AFL Victoria State Multicultural Secondary Schools Cup. English Language Schools – Students at Noble Park English Language School (Casey Campus) were introduced to AFL, with clinics teaching footy skills to newly arrived students. AMES Australia (Adult Migrant English Program) – Melbourne Football Club, in partnership with AFL Victoria, introduced AFL to migrant students (aged 18-25), including teaching the group AFL 9s in order for them to participate in the AMES Cup in May. Students were taught footy skills, as well as the history and rules of AFL, and offered tickets to games. Melbourne Football Club engaged with 80 students from AMES Dandenong and Noble Park. School Sport Victoria – Relationships have developed with all School Sport Victoria Division Coordinators in the South East and Peninsula, with aims to support all school football days and tournaments. 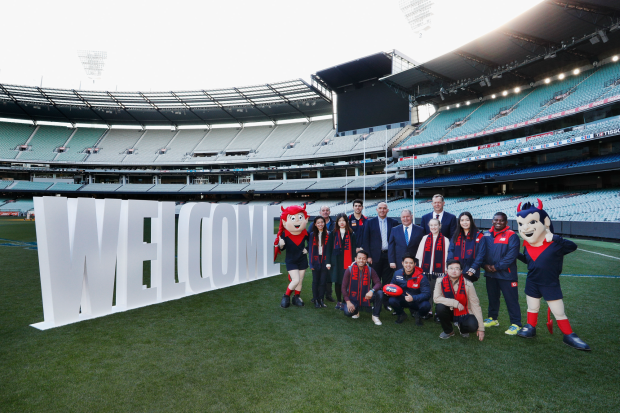 The Australia Post AFL Diversity Community Ambassador Program engages multicultural and Indigenous communities, through a network of dedicated volunteers. Free education sessions and workshops are available to community AFL clubs in the southe-east, to gain a better understanding of multicultural communities. These sessions include strategies to equip your club in recruiting and retaining players from all cultural backgrounds.